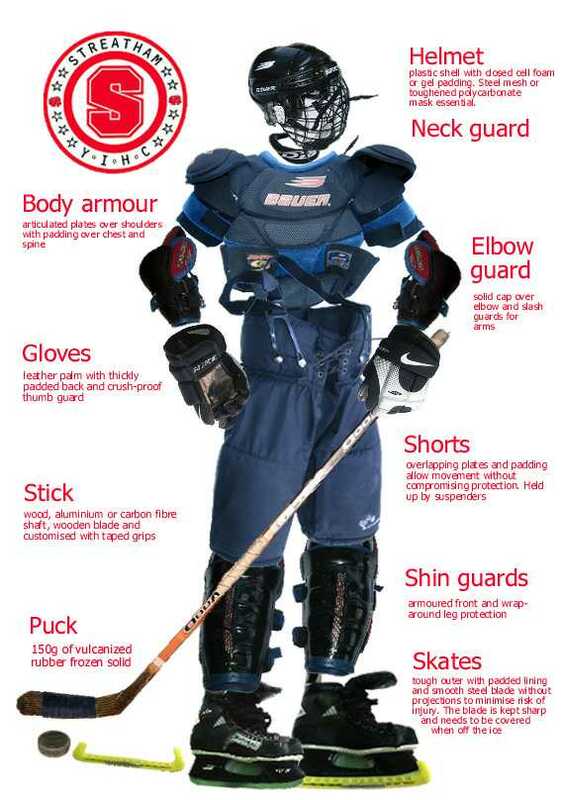 Most Hockey kit can be provided on loan to players thanks to Awards for All. The kit should be returned if your player leaves Werewolves or if you need to replace part of it due to wear or needing a different size. It’s important to care for the kit to make sure it remains usable and continues to protect well. Note: We do not provide Sweatsuits or skate/boot socks as we cannot reuse them but players are free to buy their own from the skateshop or wear their own undergarments and socks they feel comfortable in. Check you have packed all your items of kit especially items like shirts and socks which you may have washed. DON’T cut out the label or straps from ANY of your kit or uniform as this makes it difficult to hand out your kit when it doesn’t fit you any more. DO wash your jerseys and socks on 30 degrees wash only. Dry on a hanger or washing line never dry in a tumble dryer or on a radiator.